4. 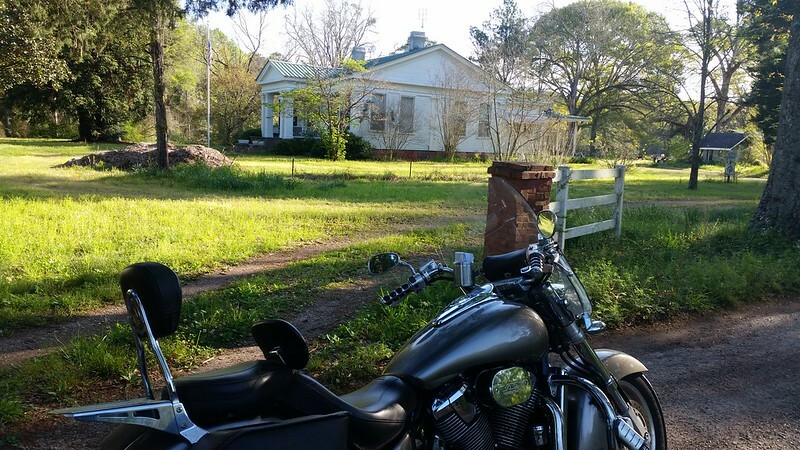 The James Spullock Williamson House, also known as Merry Oaks, is a historic plantation house in the rural community of Sandy Ridge in Lowndes County, Alabama. 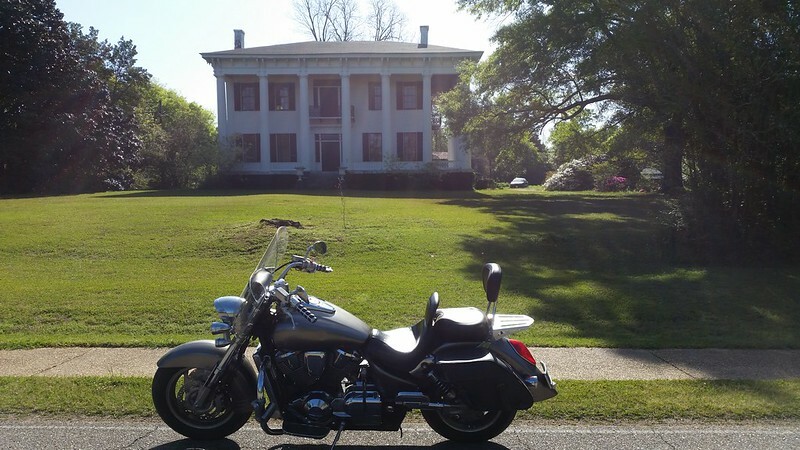 The one-story Greek Revival-style house was completed circa 1860. The house was built for James Spullock Williamson, a planter and state legislator. He had land holdings in excess of 2,500 acres (1,000 ha) in 1860, with his real estate and personal property valued in excess of $150,000. He owned 98 slaves during this time. 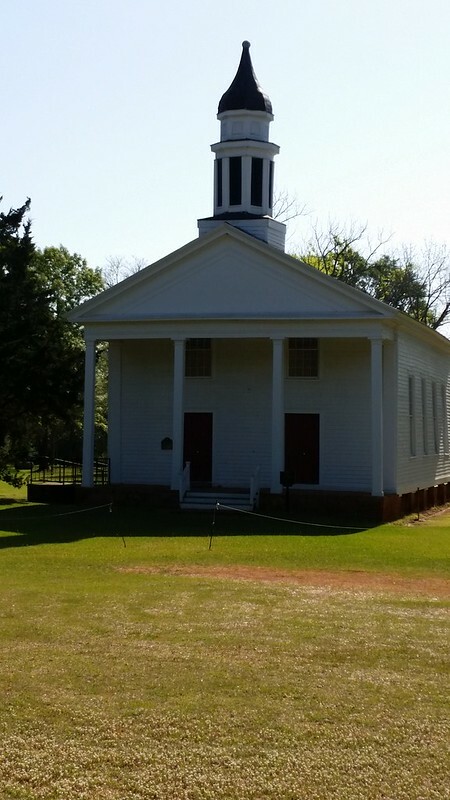 Williamson was a son of the first judge of the Lowndes County Court, Peter Williamson, who had emigrated from Wilkes County, Georgia around 1819. James Spullock Williamson was elected to the Alabama House of Representatives for the 1857–58 session. He also served during the Alabama Constitutional Convention of 1861 that preceded the American Civil War. Williamson was killed in 1862, during the Battle of Glendale in Henrico County, Virginia. He was serving as a captain in the 14th Regiment Alabama Infantry. 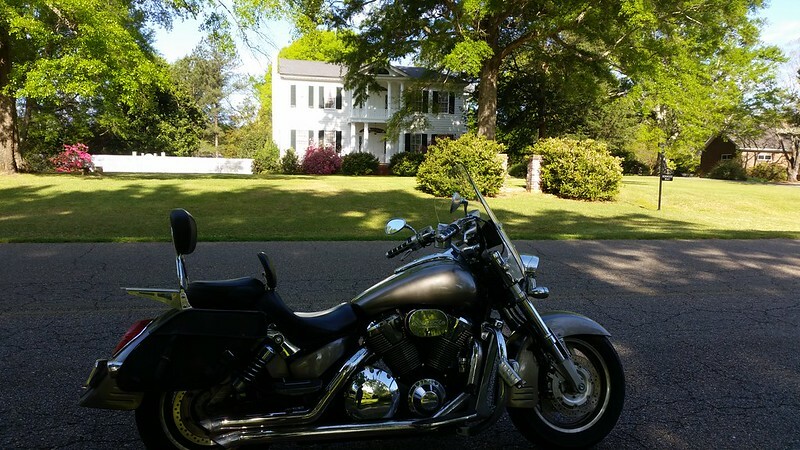 The house has remained the property of Williamson descendants since it was built. 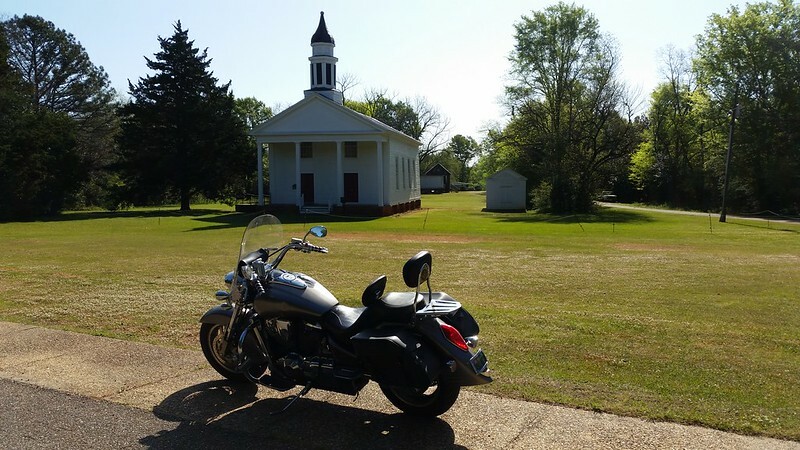 It was added to the Alabama Register of Landmarks and Heritage on September 12, 1988 and to the National Register of Historic Places on January 5, 1989, due to its architectural significance. 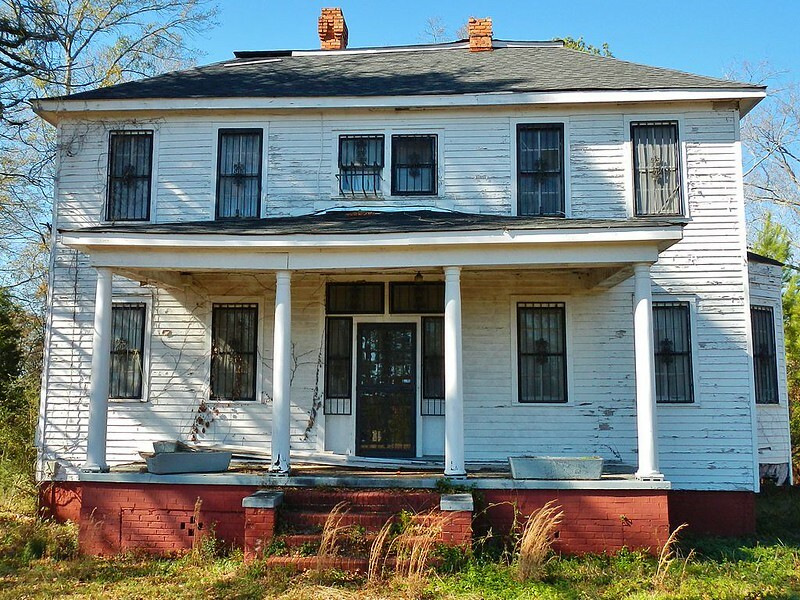 The Calhoun Colored School (1892–1945) was a private boarding and day school in Calhoun, Lowndes County, Alabama, about 28 miles (45 km) southwest of the capital of Montgomery. It was founded in 1892 by Charlotte Thorn and Mabel Dillingham, from New England, in partnership with Booker T. Washington of Tuskegee Institute, to provide education to rural black students. African Americans comprised the majority in this area, and the state had segregated facilities. Calhoun Colored School was first designed to educate rural black students according to the industrial school model common at the time. In addition, the school sponsored a land bank that helped 85 families buy land. It created a joint venture with the county to improve a local road so farmers could get their products to market. As the school developed, it raised its standards, created a large library, and offered more of an academic curriculum. 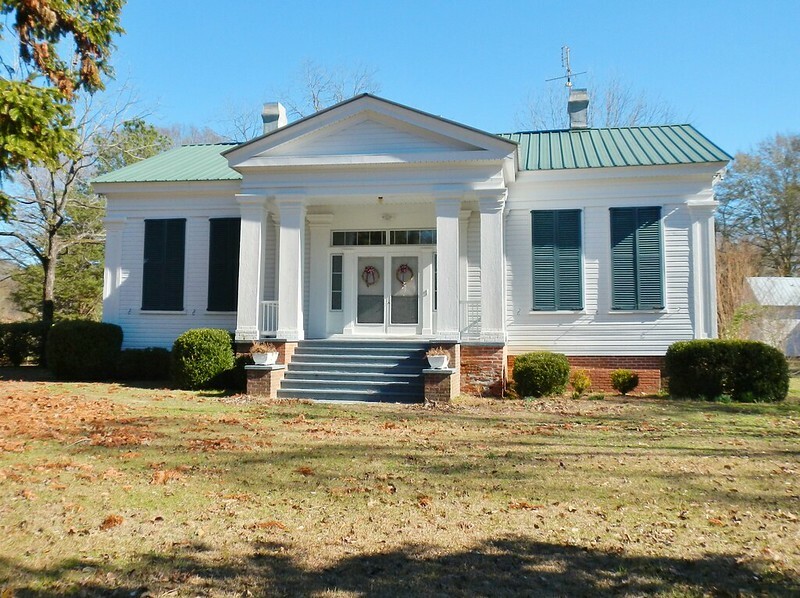 The principal's house, the only surviving original building, has been listed on the National Register of Historic Places in recognition of the school's importance in the history of education of African Americans. 2. 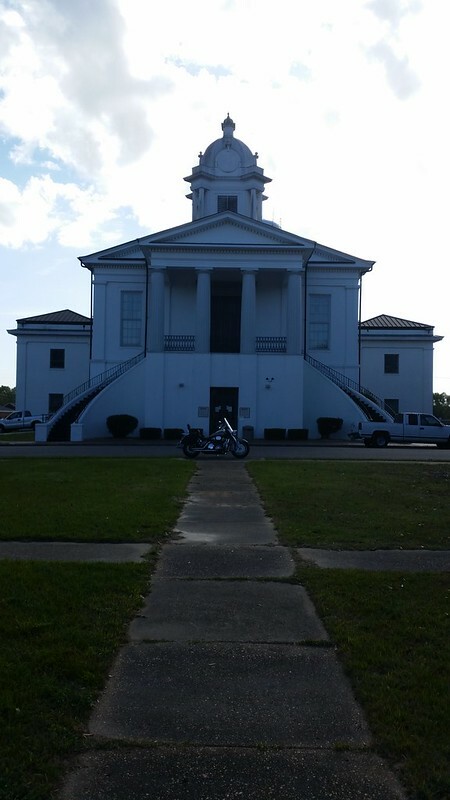 The Lowndes County Courthouse is a historic courthouse building in Hayneville, Alabama. 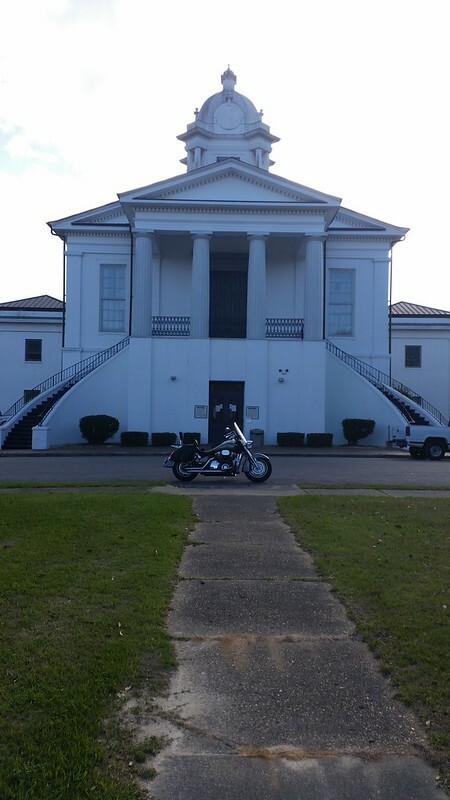 It has served as the Lowndes County courthouse since 1856. 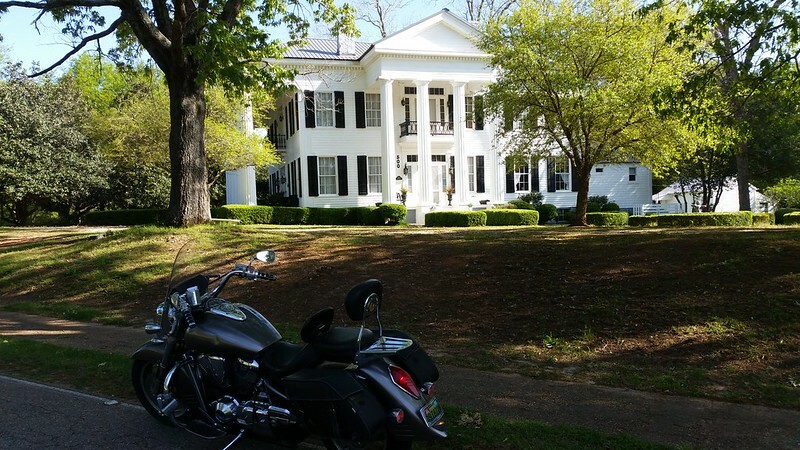 The Greek Revival-style building is one of only four antebellum courthouses that remain in use in Alabama. 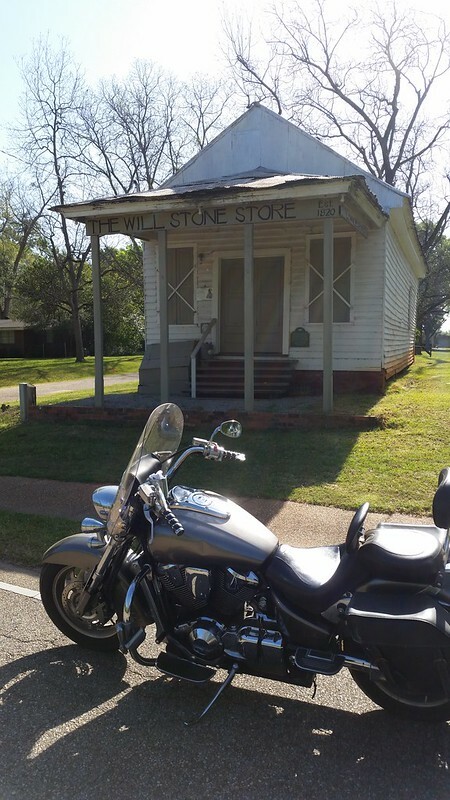 It was added to the National Register of Historic Places on June 24, 1971. 3. 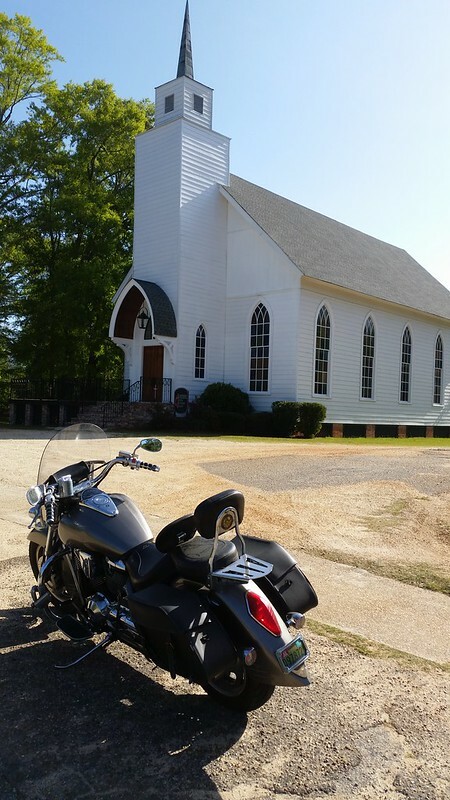 The Lowndesboro Historic District is a historic district in Lowndesboro, Alabama, United States. 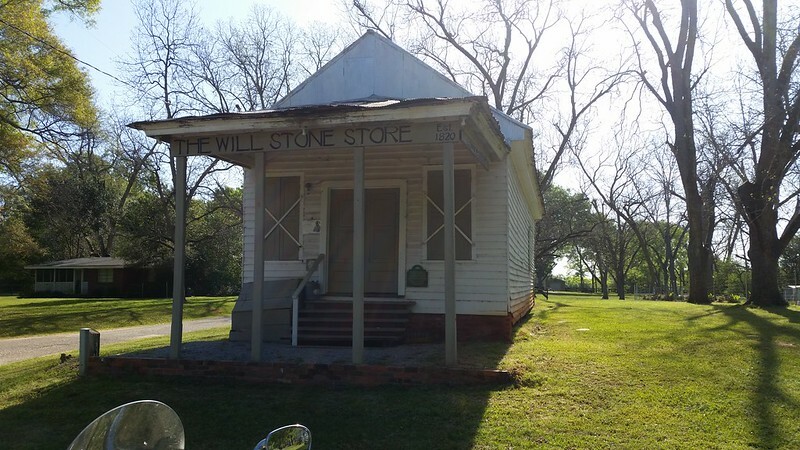 It was placed on the National Register of Historic Places on December 12, 1973. 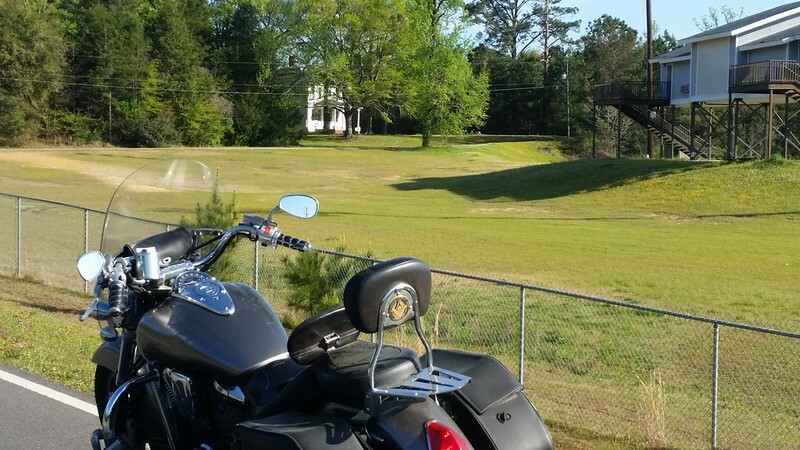 The district covers 1,800 acres (730 ha), spread over the entire town, and contains 20 contributing properties, including Meadowlawn Plantation. Architectural styles include the Gothic Revival, Greek Revival, and other Victorian styles. Originally known as McGill's Hill, the community began attracting settlers following the conclusion of the Creek War. 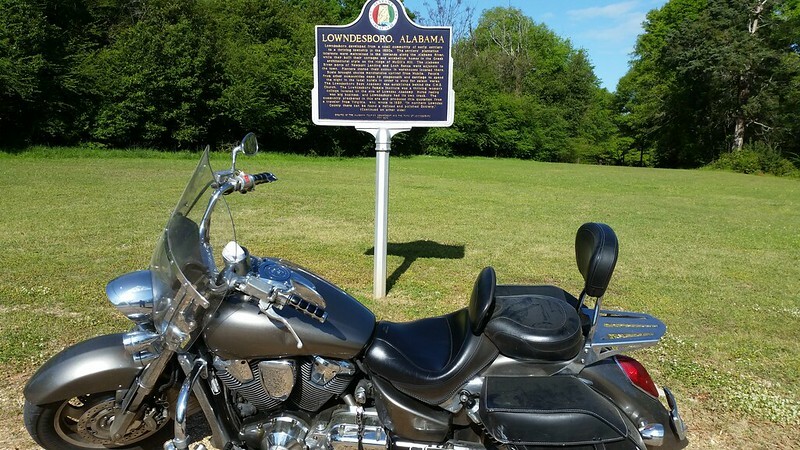 In 1832, the residents changed the name to Lowndesboro in honor of U.S. Congressman William Lowndes, the son of Rawlins Lowndes, an early South Carolina governor. 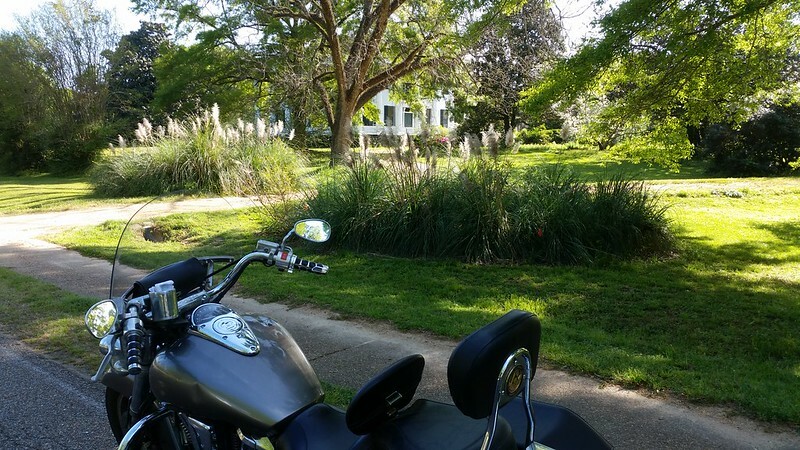 With its proximity to the Alabama River, the community had grown into a prosperous town by the 1830s. Many wealthy planters settled in the area, leaving a legacy of historic mid-19th-century architecture that largely survived intact into the modern era. A brief skirmish was fought at Lowndesboro in April 1865 between a group of Confederate cavalry and advance troops of the Union Army during Wilson's Raid. 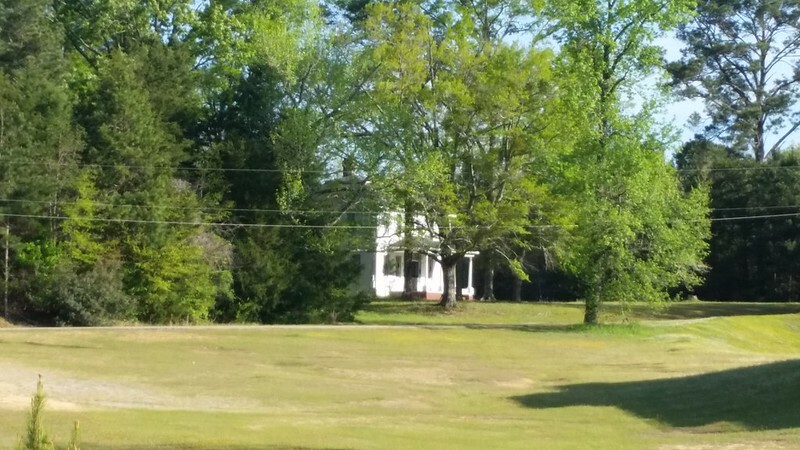 Federal troops occupied the town after driving off the Confederate force, with very little destruction noted from the occupation, thus preserving many of the antebellum houses and structures in the Lowndesboro Historic District. 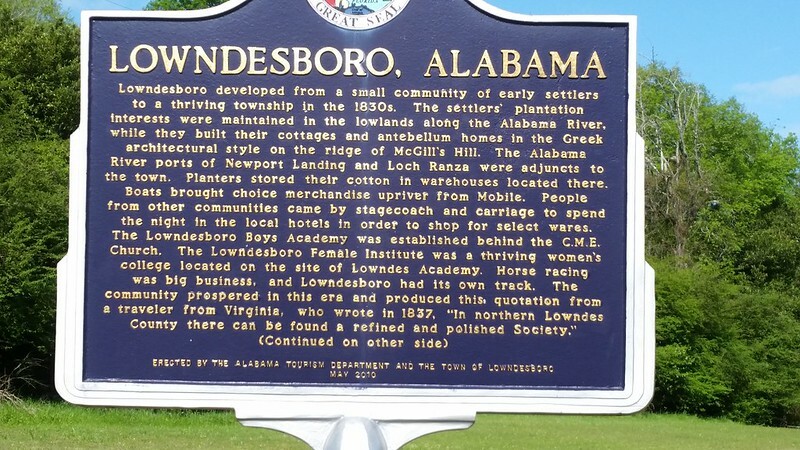 Like many small Southern communities with an economy based on cotton production and trade, Lowndesboro declined rapidly in the post-war years. At least partially attributed to this decline was the survival of much of the pre-war architecture into the 20th century, making it a unique assemblage of 19th-century architecture. 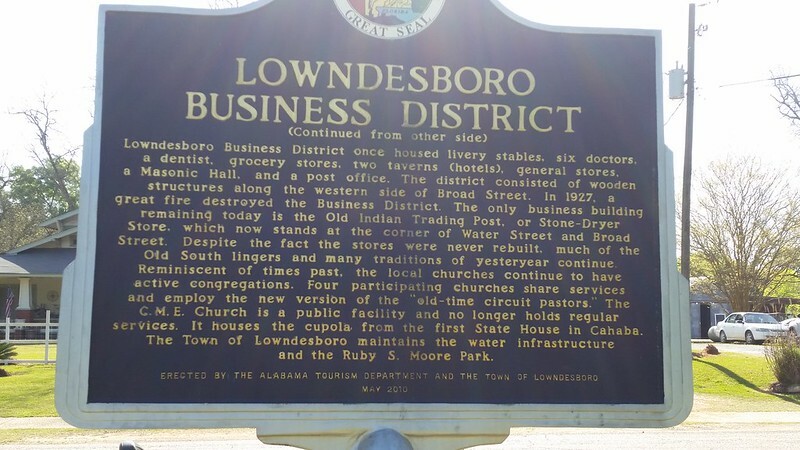 Today much of the town is included in the Lowndesboro Historic District, listed on the National Register of Historic Places.